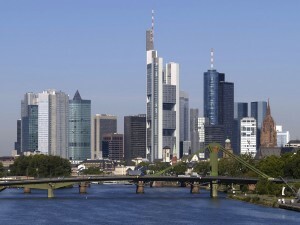 Home News How is German Property Faring in Recessionary Times? One of the areas most touted as a ‘safe haven’ for Irish funds during our overseas property buying splurge from the mid-nineties to the mid-noughties was Germany. In retrospect it is interesting to take a look and see how those investments have fared, thus far. Interest in Germany probably peaked at the time when the Eddie Hobbs backed Brendan Investments launched, with a strong commitment to investing a good portion of its funds in German property. If you follow the link now you’ll find the site telling you very little about how these investments have fared. In fact you’ll find the site, rather depressingly, telling you nothing about anything. It looks a bit like an unfinished Irish housing estate at the moment. So I signed up for the newsletter, but I won’t be holding my breath for an avalanche of updates on that front. In any case, Brendan Investments is only a small speck in the ocean when it comes to Irish investment in Germany. Many, many Irish individuals and syndicates have invested in the country, particularly since the period from 2000 to 2006. On that basis it is interesting to take a look to see how this market has been faring. A report from Jones Lang LaSalle (JLLS)at the start of this year outlines just where Germany resides in terms of its investment cycle at this point in time. It is, suffice to say, a far different story to that currently being told in Ireland so investors who put their money in Germany rather than investing it in Irish property will, in the main, be a lot happier. Dr. Esfandiar Khorrami, a Berlin solicitor heavily involved in the property sector, concurs that this sector of the German economy has, in the main, been remarkably resilient in Berlin in particular, but also across Germany as a whole. In the retail sector, which has attracted a lot of Irish interest, space lettings reached a new record in 2011, rising by around 88% to 686,000 sq. m. from around 365,000 sq. m. in 2010. The average rented shop space also increased from 510 sq. m. to 700 sq. m. at present. Remarkably, considering the ongoing turbulence in Europe as a whole, a little more than half of the space take-up was generated in the second half of 2011 and demand from domestic and foreign chains for spaces in prime locations far exceeded the supply of suitable shop units. This is not, however, a countrywide phenomenon, as it has never been in Germany. At regional level, the strongest buying power is in the south and in the prosperous West German conurbations. Low mortgage rates and moderate consumer price inflation currently determine residential property investments from a financial standpoint. It is this low cost of money in Germany (it is effectively available at retail level for 0%) that underlies the country’s lack of appetite for Eurobonds – a vehicle which would average the cost of money right across Europe, thus increasing borrowing rates for German consumers. One worry that has nagged at Germany for a long time is that its population is shrinking due to the birth-rate deficit and relatively low net migration. Essentially Germany’s population is getting really old, which presents a big long-term problem as a larger proportion of older people have to be supported by a lower number of working population. This increased ageing of the population and the decrease in household sizes is, according to JLLS already the main determinant factor driving housing demand in the country. One of the things that has driven Irish investment in Germany is the fact that more than every second German citizen is a tenant, meaning that the letting market in Germany continues to be buoyant. Small, private landlords form the largest group of suppliers on the rental market (60% of residential units) with only 40% of rental units belong to professional or commercial landlords, of which almost half are from the private sector and half are cooperative or communal housing associations. The vacancy rate in Germany has remained at a relatively stable level of around 3.7% over the past few years. Above-average rates at regional level reflect the oversupply in East Germany in particular, but also in less economically successful regions in the west. by a long-term positive trend, but growth is lower than in the two largest German cities. Munich is by far the most expensive market in Germany, with rising purchase prices for condominiums and high rental prices. Leipzig, in the former East Germany, is the only city in the study to have registered stagnant rental prices and falling purchase prices in the last few years. By the end of 2011 the investment volume had reached €5.5 billion, which would be the highest level recorded since 2007. Considering the turmoil going on in Eurozone countries like Ireland, Portugal, Greece, Spain and Italy, it is remarkable that Germany can still perform to the level that it has. This highlights just how strong an economy it is and has justified the high level of trust and confidence in this market from Irish investors over the past decade and a half. Irish investors in Germany will be hoping that the country can continue to defy ongoing turbulence in the surrounding European Union countries.